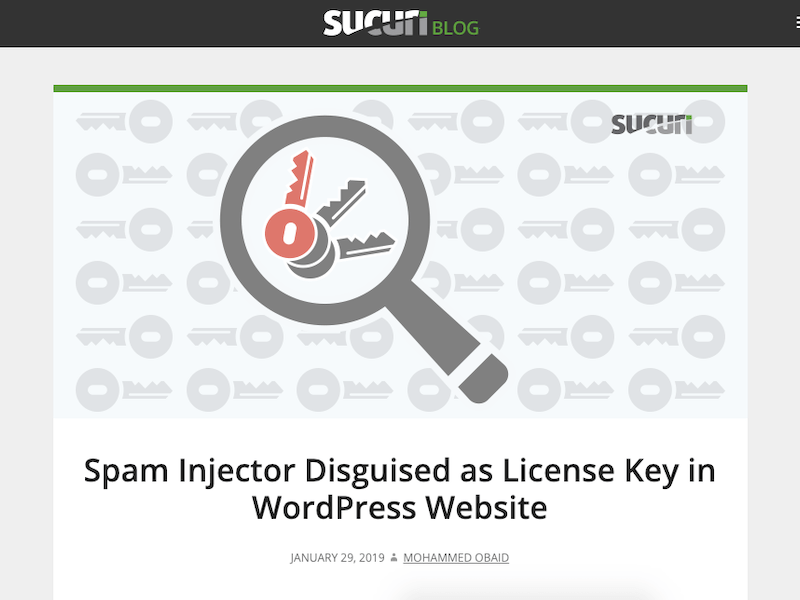 Security experts at Sucuri published an article recently showing a sophisticated hack that was used to inject malicious code into a website and that (almost) avoided detection. The article will be a pretty tech heavy read for most readers, but it demonstrates how important dedicated security monitoring is for staying ahead of these threats and keeping your website safe. Need help with your website security? Sign up for our Site Care service and we’ll handle monitoring, backups, malware removal, and a bunch of other stuff so you don’t have to worry about it. Get in touch at [email protected] to book a consultation. Read the article on the Sucuri blog.